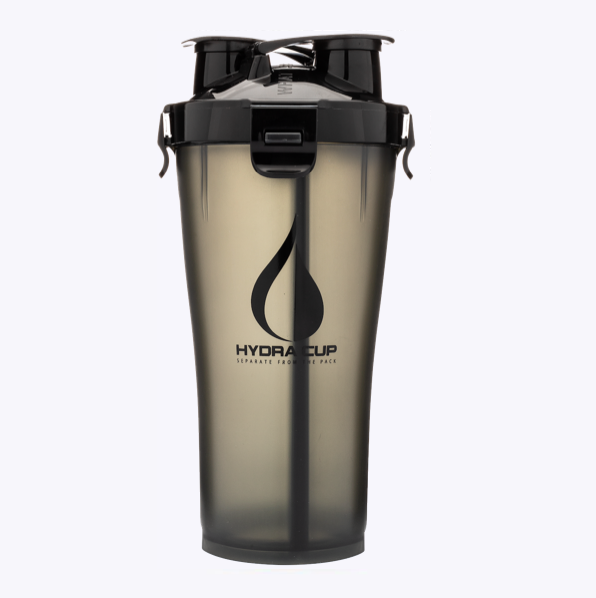 Hydracup is the only shaker on the planet that keeps you both Supped up and Hydrated without the need to carry an extra shaker or re-fill the one you have. 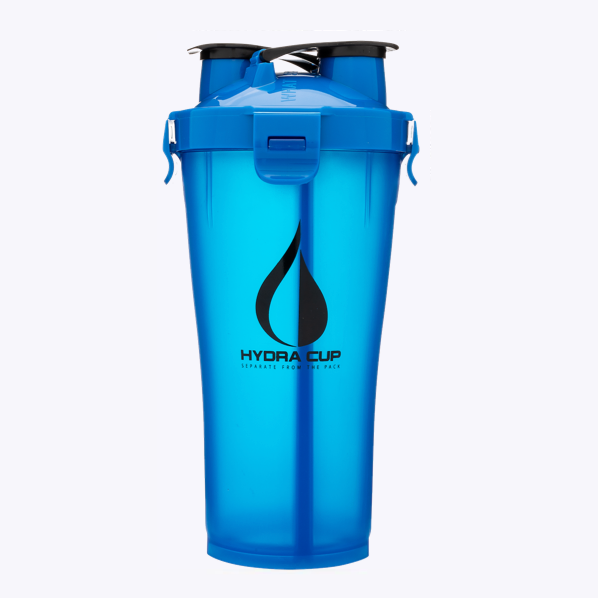 Hydra36 takes it to the next level by adding an additional 8oz of capacity to one side and an easy clean base that washes out like a single shaker. 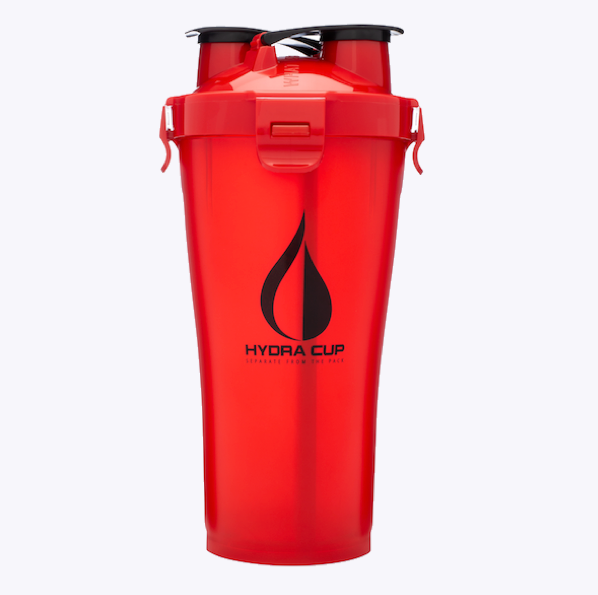 Share Hydracup and drink from your own side. Shaker cup + Water bottle. 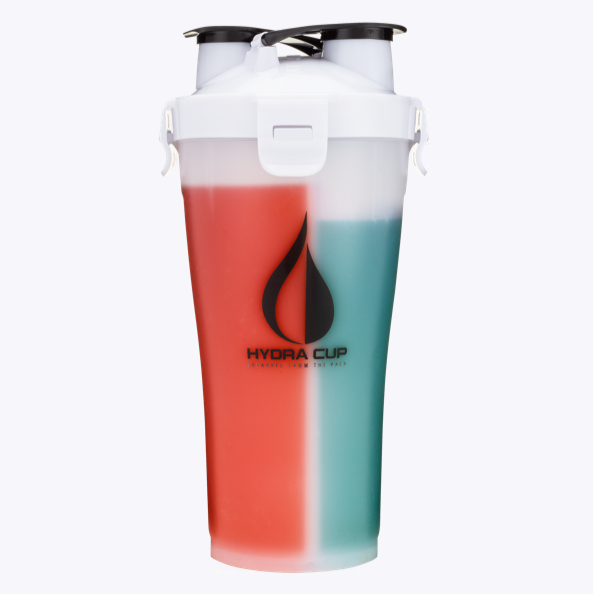 Due to requests from gym rat’s worldwide, we’ve added a new 22oz side that gives you room to mix thicker powders, add an extra scoop, or just have 8 more ounces to stay hydrated. The added 8oz’s offers significantly more flexibility and it still fits nicely in your hand as well as in many cup holders. The 14oz side is the same as before, leaving you with 36oz total to go out and get them gainz. No shaker will survive a month in the back of your trunk with a scoop of protein left in it (pour a little PRE out to the old Hydracups who’ve met this fate). 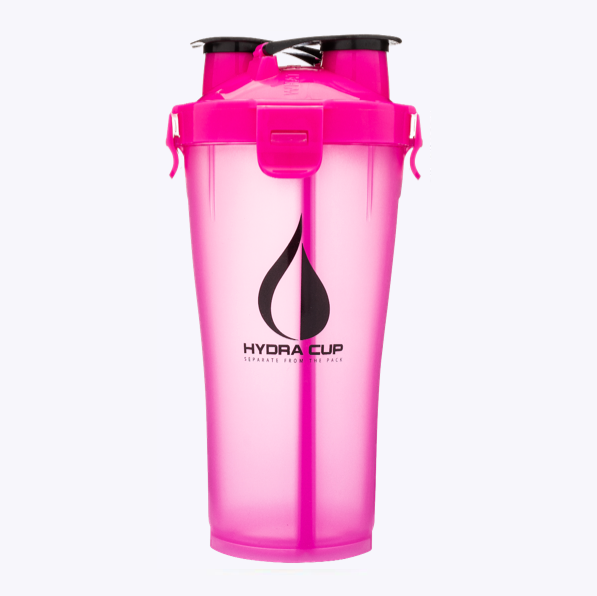 But now that we rounded out every last corner, especially the bottom where supplements used to get stuck (and wasted), the Hydra36 is virtually just as easy and in many cases easier to clean compared to normal shaker bottles. Our new re-designed flip caps snap on tighter than before and have been rigorously tested to ensure they are leak proof. The flip cap on the 14oz side comes with a 14 engraved into it and the 22oz side has a 22 engraving on it. Waste no time figuring it out, just by a glance you will know what side you want to drink from.